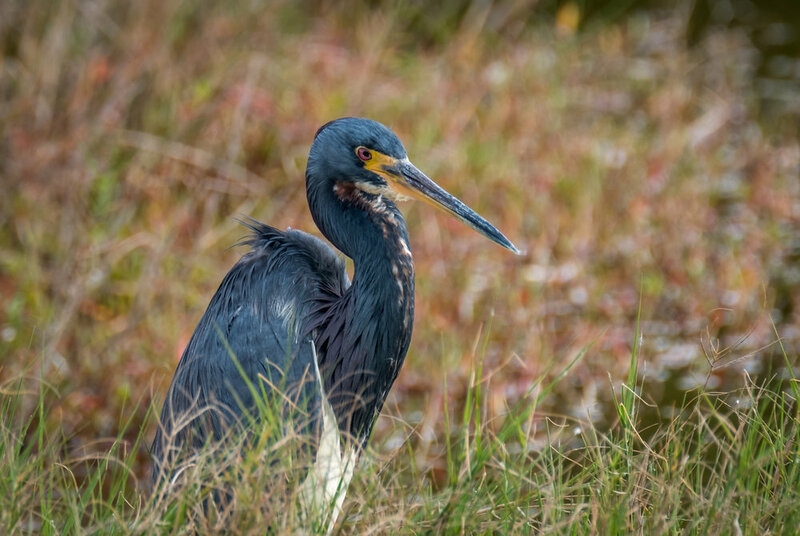 This bird was once known as a Louisiana Heron is now a Tri-Color Heron. How does that happen? Does a bird just think a name change after doing a stretch in the swamp will erase his record? No, the American Ornithological Society each year adds or substracts species and subspecies as they are constantly being reclassified and they usually change a few names. Like our Tri-Color friend morphed a few years ago. This also adds confusion as you keep a life list of birds because, one year you may add a Western Scrub Jay and then the next year there are two varieties of Western Scrub Jay now the Californian and the Woodhouse. Which did I see or did I see both and my list goes from one to two? I did see both because the Woodhouse is only found in the central Rockies and the Californian Scrub Jay in, well guess. A couple of years ago my list shrank by one as a bird once listed separately was combined with another. This year the Cassia Crossbill was split from the Red Crossbill so if you are in Southern Idaho you can add the Cassia as it is only located there. Whew. And you thought this was only about pictures.